Standing Rock was a beacon of hope for the world where indigenous people from all over the United States came together to resist corporate power and protect the water that is their life. Chas Jewett is one of those protectors. 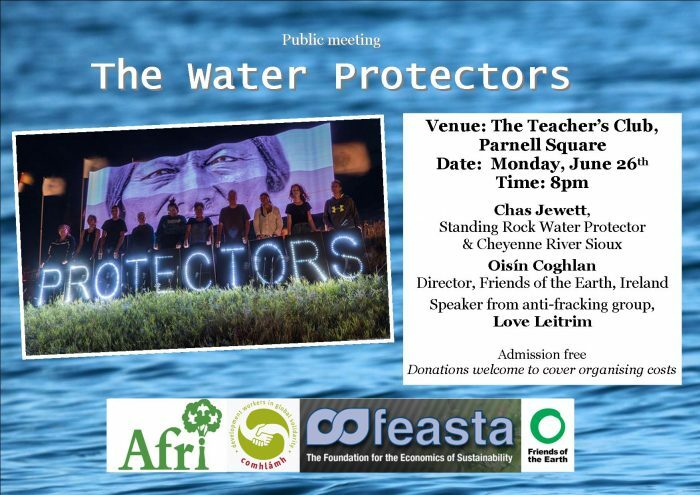 This public meeting will draw out the links between the Standing Rock action and threats to water in Ireland and worldwide and the need to continue protecting our water and our planet.